Vade said: I haven’t listened to every power amp out there, but the Berning ZH-230 is the best I’ve ever heard. And while all the technical hoo-ha is fascinating, what counts is that the ZH-230 made music sound right. For me, that meant it was more fun to listen to music with the Berning -- my listening sessions with it ran unusually late. 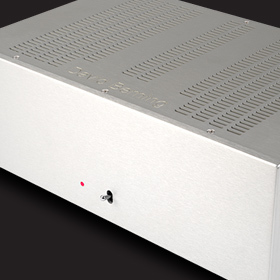 David Berning’s ZH-230 has made it very hard for me to listen to other amplifiers. The gist: So you really don’t need the transformers after all.